You're probably saying, "what the hell is that!" Chances are, you're also debating whether or not you like the car, or if you'd ever admit that you like the car. I know, we're thinking the same thing. 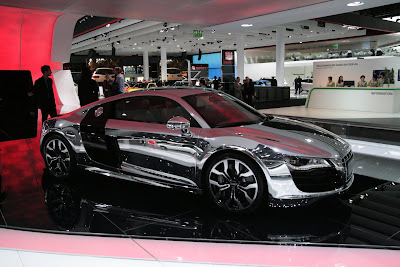 Debates of whether this chromed-out Audi R8 V10 is awesomeness or blasphemy are raging in the quattroholic.com office right now. The verdict, we give it a thumbs up.